Are pets allowed at Three Lakes? Yes. Cats and dogs up to a maximum of 50 lbs. fully grown are allowed, and limited to 1 pet per household. Absolutely no aggressive dogs are allowed in the Community. No exotic or farm animals are permitted. All pets must be registered with 3 Lakes Management Office, and, if required, demonstrate licensing by Hillsborough County. How much is the lot rent and other costs? Depending on the lot size and location, current lot rents are affordably priced between $480 and $490 a month, and this includes exclusive use of your private yard, the use of all 3 Lakes Community amenities, park security and nightly gated entry. Residents are responsible for costs of their home use of water and sewer and electricity, trash, telephone, cable tv and internet. Can anyone rent a Mobile Home at Three Lakes? No. We do not permit the renting of any home. All homes must be owner occupied, and all Residents must pass a security review and be approved by Management. Resident’s visitors staying overnight for more than 2 weeks must register with Management. We believe that our policy of owner occupied homes is the key to having a beautiful and safe community. 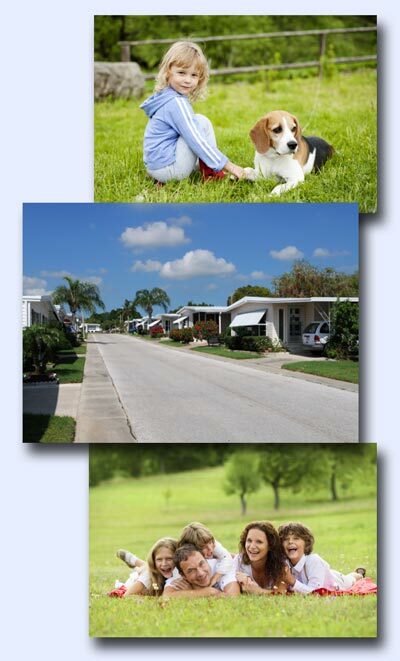 Is Three Lakes Mobile Home Community a family Park? Yes, we are a proud to be a family all-ages community. However, we have many senior Residents who have been living at 3 Lakes for many many years.